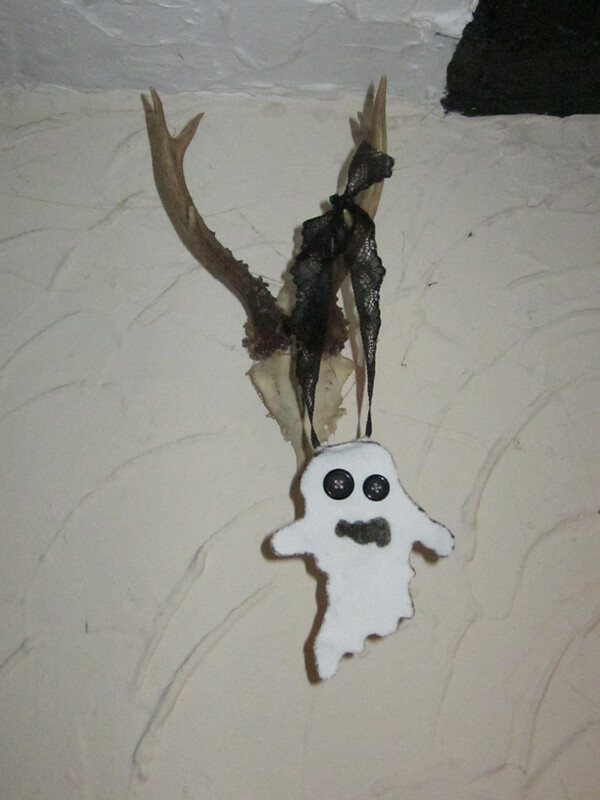 Craft Goddess, Devine Delinquents walks you though making a Ghost necklace in time for Halloween. Halloween has always been my favourite time of year, not just the Spookfest but the change in the season. The cooler starts in the morning when you stay snug for an extra five minutes in bed, the Autumn harvests such as squashes and pumpkins and most joyfully the rooting out of the winter woolies. However, having said this, that doesn’t mean that I don’t email all of the major supermarkets in September to find out when their Halloween decorations will hit the shelves and go in search of the best Halloween tat. Seeing as spooks, ghouls and ghosties are one of my favourites, what better than to divulge a spirited tutorial, so settle down, be my poltergeist (I’ll stop in a minute, I promise!) 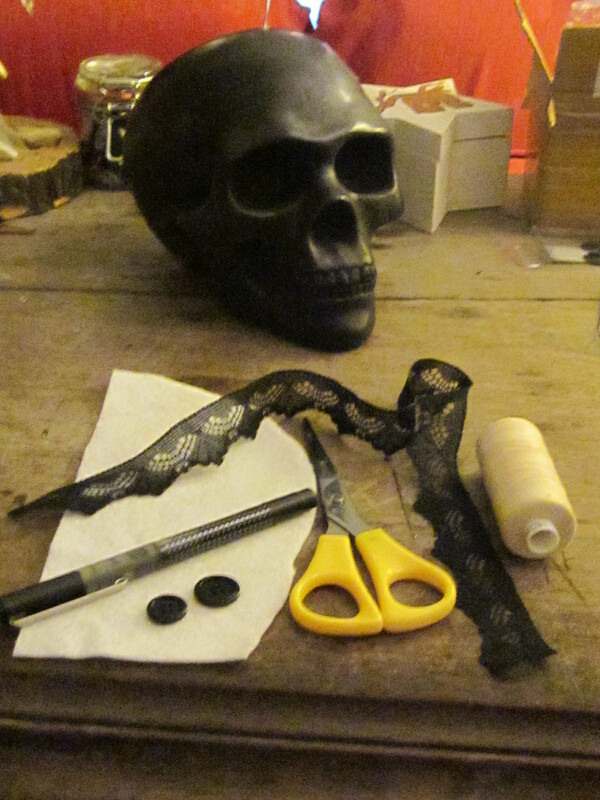 and we’ll get started on making a ghost necklace / decoration. 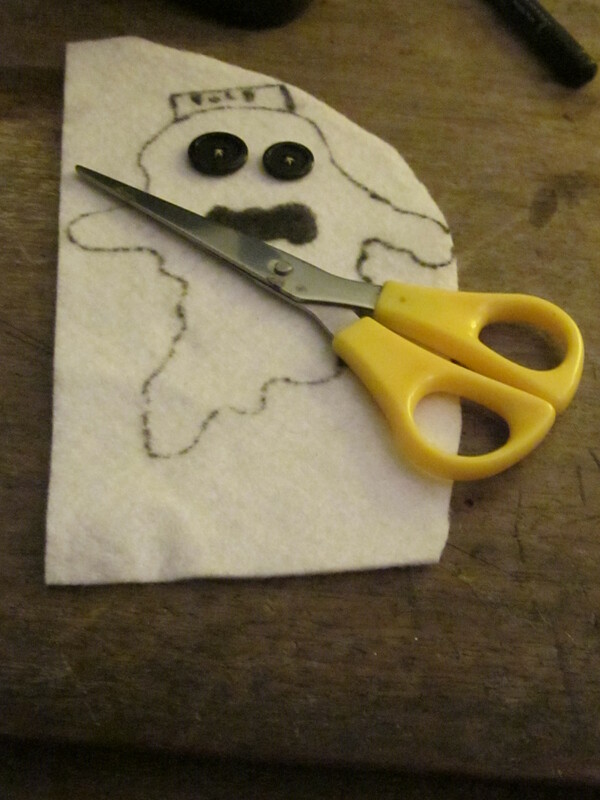 Draw out your ghost outline using a permanent pen and colour in a shape for the mouth. 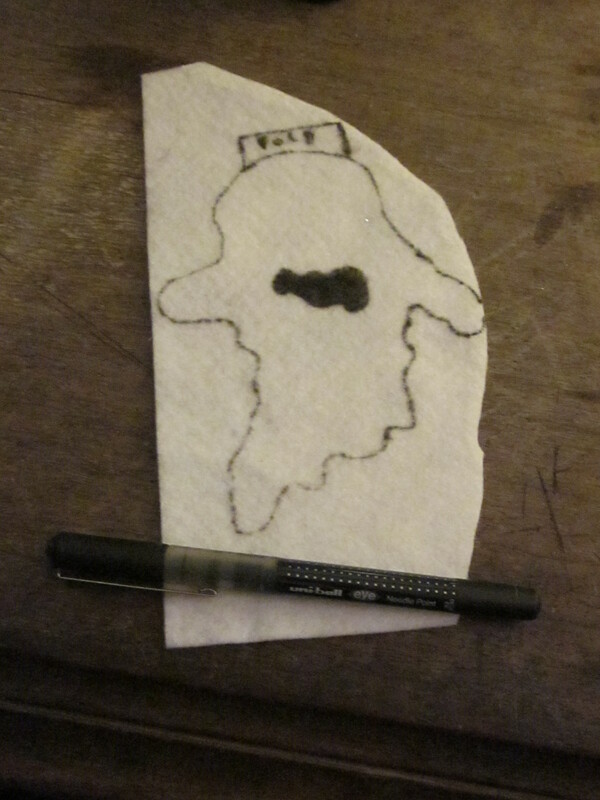 At this point it is important to leave a fold above the head of the ghost as this will be what you us to attach the ghost to your ribbon. Take both of your eye buttons an place them on your ghost shape were the eyes would be. When you’re happy with the placement, make a small dot with the marker pen. Darn the two buttons on to the small dots. 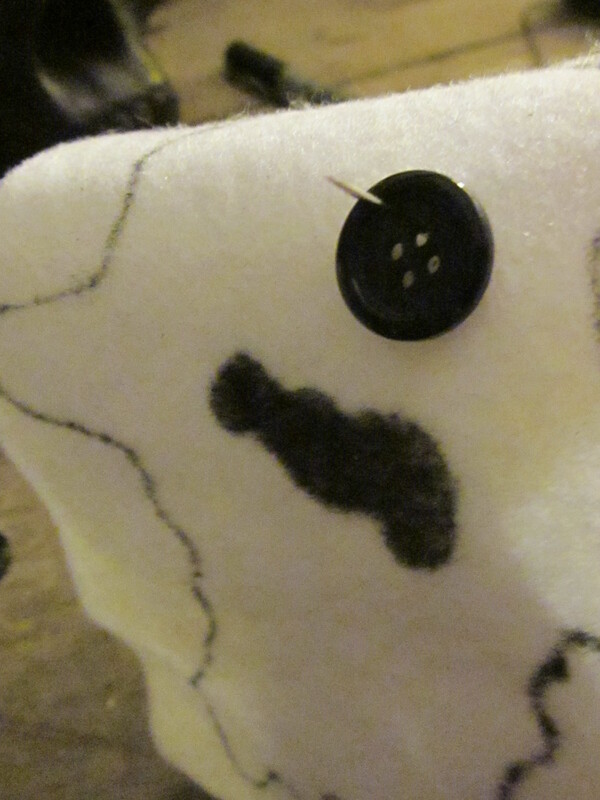 Once your buttons are stitched in place, cut out your ghost shape and remember to cut out your fold at the top. Get your ribbon and fold the top piece of material over it. Make sure your ghost is centered on the ribbon. Use a running stitch to secure the material over the ribbon and tie the thread in a knot to secure. Use your new ghostly companion as you wish. 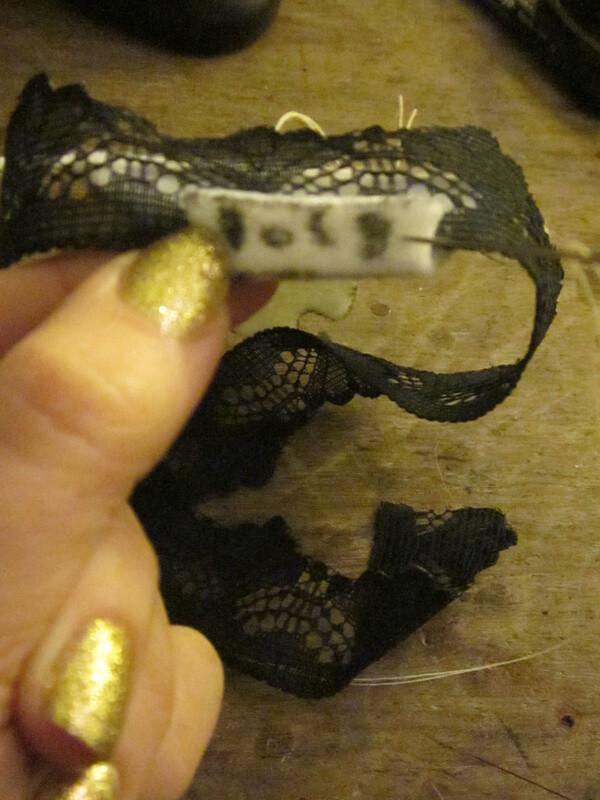 As a necklace, head band or Halloween decoration. My jewellery and accessories company, Devine Delinquents, has been running since May 2011 with myself, Nikki, at the helm of the crafty ship. 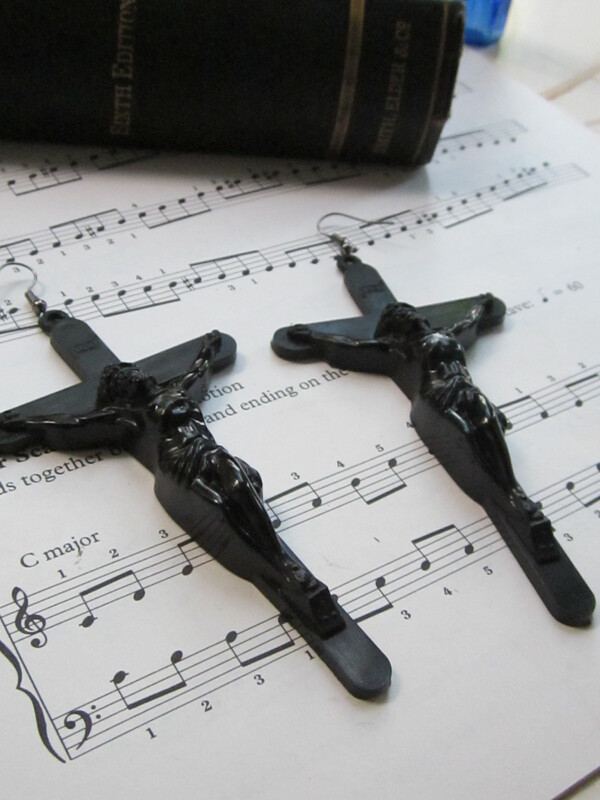 The company was born out of an interest in alternative and avant garde fashion, tattoos, art and alternative culture. Being a heavily tattooed female and incredibly interested in fashion, I found that there was little on the market, accessories wise, that was directed towards my sense of style at a price I could afford. The need to encompass alternative jewellery and accessories with a little bit of street style and the highstreet thrown in for good measure was not anywhere around, online or in the shops. After talking to friends and generally accosting people at conventions, in the street and in clubs about what they thought was important about fashion was this; it needs to be relatable, affordable and on trend. So with that mission statement, Devine Delinquents was born. Since starting out Devine Delinquents has featured on prestigious blogs such as Scarlett, Pout, Rebelicious, amongst others. A loyal Facebook and blog following has been accrued and the highlight of 2012 so far was having 15 foot projections of models wearing Devine Delinquents featured at Tracey Moberly’s exhibiton at the Tate Modern. Devine Delinquents has also provided jewellery for The Sophie Lancaster Foundation calender for 2013 by Twisted Pics Photography which will be on sale in November. 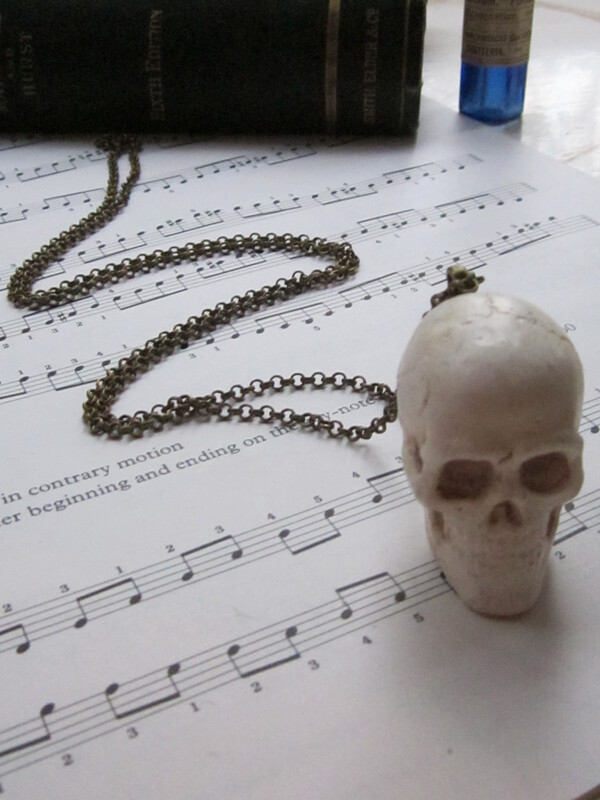 Devine Delinquents has continual releases of jewellery throughout the year with themed collections for A/W 2012 coming soon. You can find out more about Devine Delinquents unique style of jewellery on their website or on their blog or Facebook. This entry was posted on October 19, 2012 by coochiecrunch in Coochie Crunch Blog and tagged Devine Delinquents, Ghost, Halloween, Tutorial.